This morning, Air Associates, hosted an open house at the KOJC airport. One of the planes on display was a re-branded Columbia 350. Cessna is calling this plane the Cessna 350. As you might know, Cessna purchased Columbia in late 2007 after Columbia declared bankruptcy. I must say this was a smart move for Cessna, because until now, they did not have anything to compete the composite market. What were my impressions? I must say, the plane stood much taller than I had imagined — much taller than a Diamond DA40XL. 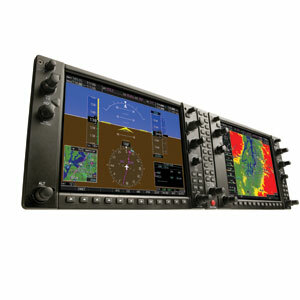 However, the primary competitor is not a DA40XL, but more the Cirrus SR22. The Cessna 350 had an amazing ramp presence but the visibility from the cockpit was not quite as good as the DA40XL. I have not sat in a SR22, but Cessna reps were claiming that it has more overall glass than the SR22. Another thing I noted was there was more to the cockpit in terms of controls scattered than what I am used to in the DA40XL. The plane does have some advanced features like speedbreaks. I’m not sure we’ll be seeing this plane on the rental line anytime soon, but time will tell.